Caught in the grips of a persistent and long-running measles outbreak, a New York county on Tuesday took the extraordinary step of announcing it would ban children who have not been vaccinated against the disease from enclosed public places as part of a 30-day state of emergency. Schools, houses of worship, shopping malls in Rockland County — anywhere that people who are not related to one another congregate indoors — will be off limits for unvaccinated children, officials said. The county, located north of New York City, has been fighting measles since last October, when over a span of less than three weeks seven unvaccinated travelers who were infected with measles abroad returned home. So far there have been 153 cases in this outbreak, the largest of a number of outbreaks currently underway in the United States. 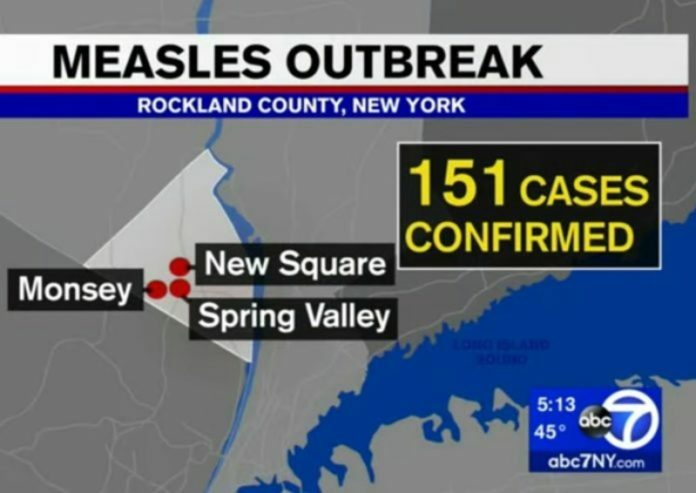 Rockland County has a large Orthodox Jewish community; many people in that community do not vaccinate. County Executive Ed Day said the unusual decision was taken to try to shift the trajectory of an outbreak that has been going on for too long and is trending in the wrong direction. Resistance to public health efforts to increase vaccination rates in the county is growing, Day said. “We’re trying to gain compliance. We want people to understand this is serious,” said Day, who noted the county’s measles outbreak is the longest-running one since the United States was declared free of endemic measles in 2000. The target audience is parents of unvaccinated children and teens. Any found not to be observing the ban will be referred to the district attorney, and could be charged with a misdemeanor that carries a potential sentence of up to six months in jail or a $500 fine, Day said. He stressed that the county isn’t looking to jail parents: “That’s not what we’re meaning to do.” But the greater public needs to be protected from measles, Day said. Experts in public health law were unclear how the county could police the ban. Beth Linas, an infectious diseases epidemiologist, applauded the move on Twitter. But Linas also wondered how it will be received by the families who are resisting vaccination. “I’ll be interested to see how many people come forward to get vaccinated,” she said, agreeing that social scientists will probably be watching this natural experiment closely. Public health laws do give authorities broad powers to act to protect the general population from the spread of dangerous diseases. And while vaccination opponents often dismiss measles as a trivial disease, it is not. In the early 1960s, before vaccination began, hundreds of thousands of children in the U.S. contracted measles every year, and about 500 of them died. The Centers for Disease Control and Prevention said state law gives health departments the authority to enact control measures in response to outbreaks. “Measles is extremely transmissible. 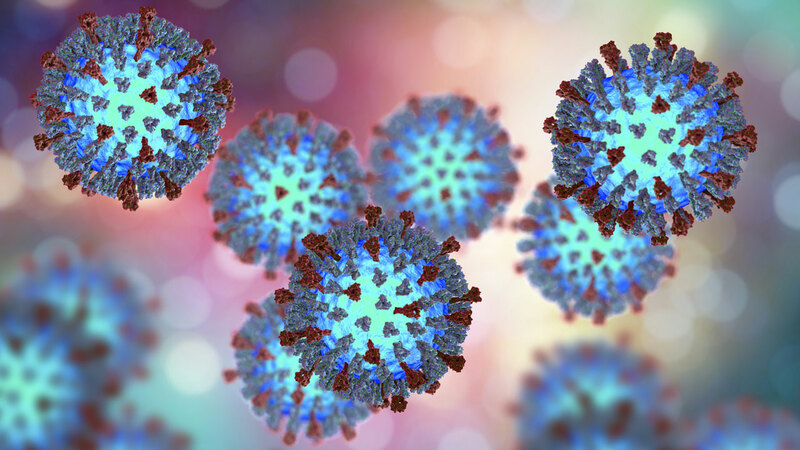 Anyone who is unvaccinated is at risk for measles and puts other unvaccinated people, both in and outside their community, at risk of contracting this dreaded disease,” the agency said in a statement.